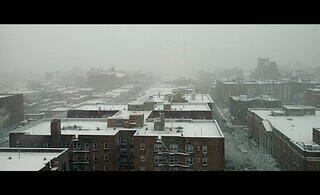 The Morning Surprise - Major Snow Storm Passing over Jamaica, Queens, New York City (USA). Picture taken on February 5, 2016. Copyright © Esoteric.Desi. © All rights reserved. Camera: BLU PURE XL Smartphone Camera 24MP.